The Lisa Pager Alert System RX Personal Pager Receiver is a great way to be alerted to things going on through your house, but over time using disposable batteries can become wasteful and costly..
A great accessory for the Lisa RX pager, the Charger for Lisa Pager Alert System RX Personal Pager Receiver features everything you need to turn your Lisa Pager Alert System RX Personal Pager Receiver into a rechargeable pager. Two AAA rechargeable batteries in included with the charger so that you can recharge your pager and save money in the long run by charging the batteries instead of buying new ones. 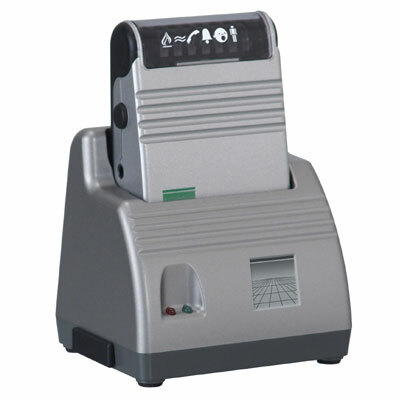 The charger provides a secure base station for recharging the pager. Simply pop the pager into the charger and the batteries will start to charge, ensuring that you can get the power you need when you need it. Please note: this listing is for the charger only and does not include the Lisa pager, which is show for illustrative purposes only.